A healthy and energising way for Keto-Vegans to start the day! 1. 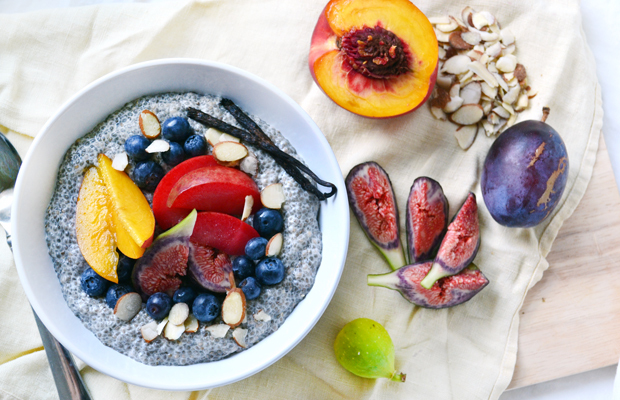 Combine almond milk, chia seeds, vanilla and sweetener in a bowl. Mix well until combined and the mixture begins to thicken. Store covered in the refrigerator overnight or for at least an hour. 2. Stir well before serving and add a bit of water to the pudding if it becomes too thick. Top with fresh fruit and nuts of your choice. This dish is delicious, and so easy to make. On top of that it’s so nutritious! One can also use coconut milk or coconut cream for a creamier pudding. Best breakfast I know of.